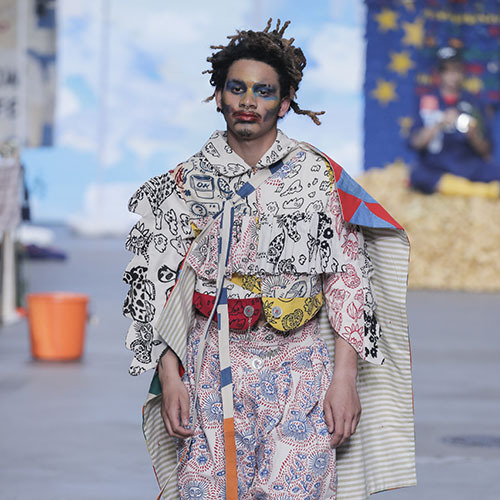 With a Master Degree in Fashion Design from ArtEZ (2003) in his pocket, Bas Kosters set off on a thrilling safari into the world of fashion. However, it takes only a glimpse of his outspokenly colourful and remarkably consistent body of work to see that his stories go way beyond clothing propositions. 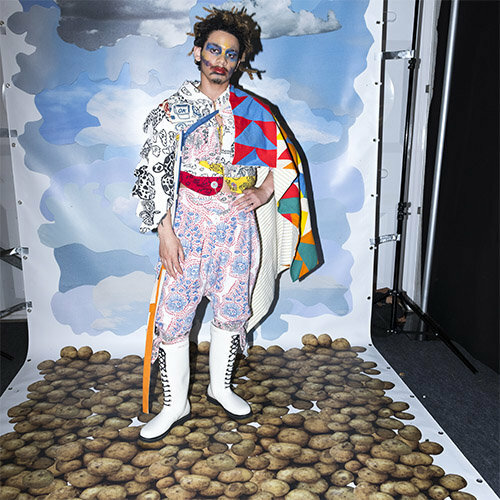 Even though Bas Kosters merely orbits the fashion industry like the alluring alien that he is, he fully embraces fashion’s innate accessibility, which allows him to ease into people’s hearts and minds and work his magic right there. Not that he wants to dictate anything. The unique performative quality of fashion is that it allows people to express themselves. This is exactly what the multifaceted artist Bas Kosters is all about. His work is inextricably linked to who he is; it is his ‘flow’. There is no plan, no marketing, no ego; just his natural born enthusiasm and genuine engagement with the world as is. 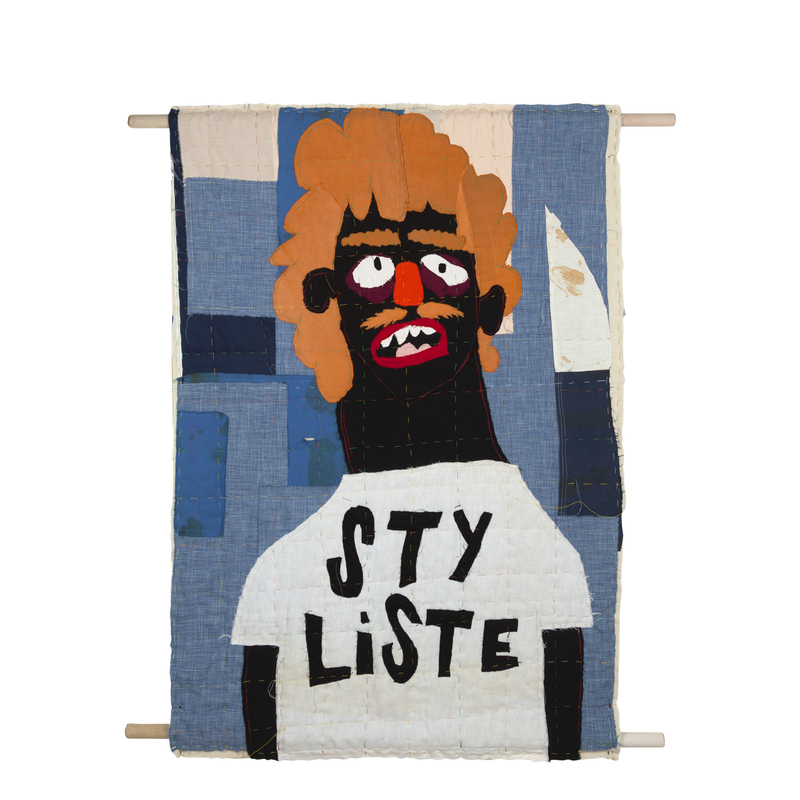 Bas Kosters’s 2016 solo exhibition ‘I want it to be soft’ in Museum Arnhem paid tribute to the adroit creative centipede he really is. Iconic is an overused term, but it certainly applies to Bas’s work, which includes actual fashion as well as costume design, graphics and illustration, installations and performance art, punkish publishing and engaged protests, commercial creative collaborations and everything that the artist wishes to file under his cherished fluid autonomy.